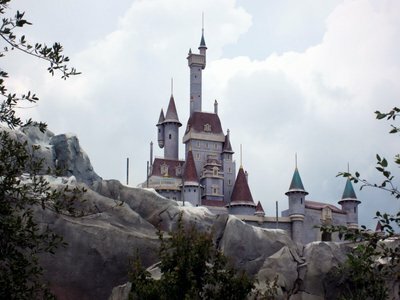 There have been soft openings and dress rehearsals taking place at the new Fantasyland at Walt Disney World over the past few weeks. So what is the big deal? What can you expect to find as part of this huge expansion? Fear not, I am here to answer those questions for you! The Fantasyland expansion is the biggest upgrade to the Magic Kingdom in years and promises guests an extraordinary experience. As part of the expansion, guests can enjoy new rides, dining experiences, and character meet and greets. Here is what you will find! Storybook Circus has taken over the area that used to be Mickey’s Toon Town Fair. Casey Jr. has come to town bringing with it a circus full of curious characters and awesome attractions. You will be impressed with Dumbo the Flying Elephant which includes a second spinner and interactive playground queue. This helps not only decrease the wait for Dumbo, but actually makes the wait part of the fun! The Barnstormer has been re-themed and now features Goofy as the Great Goofini practicing his circus stunts. As always this a great coaster for little ones. 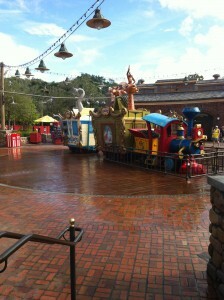 Casey Jr. Splash and Soak Station is new to the park. This play area features a train hauling some playful animals to the circus. 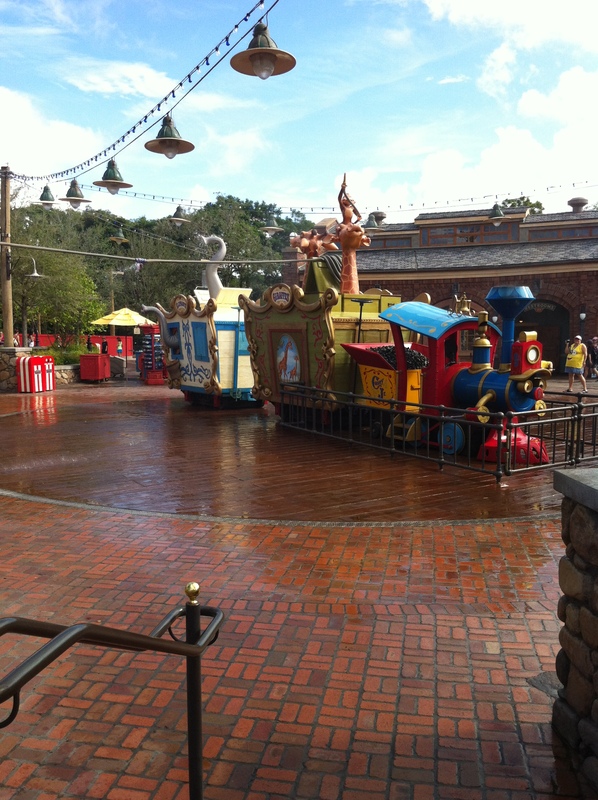 Caution: if you are going to play in on Casey Jr. you will get wet! Monkeys with hoses and elephants are all aiming at you so be prepared! You will also find souvenirs and treats at Big Top Souvenirs so make sure to check out this fun spot located under the big top! Another great thing here is the Fantasyland Train Station. You will truly feel you have just disembarked from a ride on Casey Jr. when you arrive at this train platform. You can follow the ground covered with peanut shells and animal prints into town. Enchanted Forest will bring guests into the world of fairytale like never before. You will be able to head into Prince Eric’s Castle to ride Under the Sea-Journey of the Little Mermaid. This attraction will be set to the music we know and love from The Little Mermaid movie. With a clam shell used as the mode of transport guests will follow Ariel through her story as only Disney can tell it. 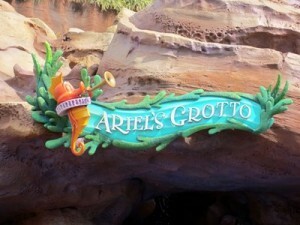 When you are done riding Under the Sea head on over to Ariels Grotto to meet the mermaid in person. Be Our Guest Restaurant is probably the most highly anticipated part of the Fantasyland expansion. 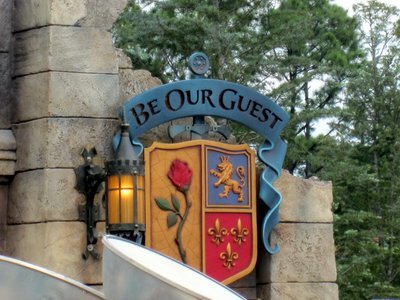 This restaurant, set in Beasts Castle from Beauty and the Beast, will feature three distinct dining rooms; The West Wing, The Ball Room, and The Rose Gallery. You are promised to feel as though you have stepped into the animated classic for meal. Guests will enjoy this restaurant as a quick service location during lunch hours. Come dinner time the restaurant will transform to an elegant sit down location and will serve beer and wine for the first time in Magic Kingdom history. If you want to dine in The Beasts castle at dinner time advanced dining reservations are strongly recommended. Head through the woods and you will come upon Maurices Cottage. Here you will find Enchanted Tales with Belle. Guests can look forward to a fantastic retelling of A Tale as Old as Time by none other than Belle herself along with Lumiere. There is plenty of magic to be had at this attraction. Be sure to pay attention to the details in the cottage as the imagineers left no stone unturned in terms of decorating with accuracy! Gastons Tavern is destined to be a big hit with the masses. Complete with fountain dedicated to the strong man himself outside the tavern, guests can come here to enjoy the scenery and a refreshment. The highlights of the menu include pork shank, warm cinnamon rolls, and a unique beverage called Lefou’s Brew; a frozen apple juice type beverage with a hint of toasted marshmallow added in for good measure! Storybook Circus is open now and Enchanted Forest is entertaining folks for dress rehearsals and special pass holder previews. The official opening will be November 19, 2012 with a grand opening slated for December 6. The expansion is not over yet however! Guests will be happy to know a new coaster called The Seven Dwarfs Mine Train will open in 2014. Princess Fairytale Hall will open in late 2013 and will be your new meet and greet area for everything princess! The hall will be decorated with portraits of your favorite royalty and will certainly ease the pain of searching out these lovely ladies in the parks. I will keep you updated on the expansion as details are revealed! This entry was posted in Fantasyland, News, Uncategorized and tagged ariels grotto, Be our guest, casey jr, dumbo, fantasyland, Fantasyland expansion, gastons tavern. Bookmark the permalink.